Home » Latest News » Radon gas » How much does a radon mitigation system cost? 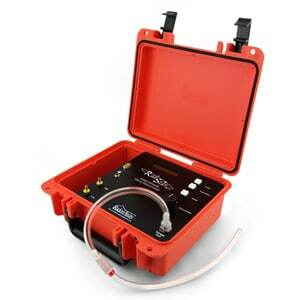 If a radon test has revealed there are high levels of radon within your property, it is likely that your next step will be to investigate remedial measures that can be installed to reduce the radon level. But how much will the works cost? Firstly, let’s consider the two main types of radon mitigation. Positive pressure systems work by installing a special air management unit (usually within the loft) to gently increase the air pressure in the building and inhibit radon from being drawn inside. 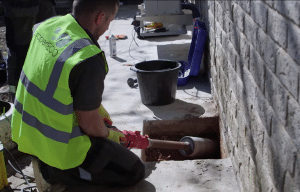 Alternatively, radon sumps are used to create a point of low pressure in the ground beneath the building where radon will collect and can be vented safely away before it enters the building. The approach adopted will be largely dictated by the current radon level, the property size and layout, however other factors such as occupant lifestyle and existing ventilation or air conditioning systems can play a role too. Watch our short video to learn more about these methods. Size of the property: If a property has a large footprint, or for example is long & narrow rather than ‘square’ a single system may not be adequate to reach all areas, so two or more installations may be required. Properties on more than two levels, particularly those with basements, also often have additional requirements. 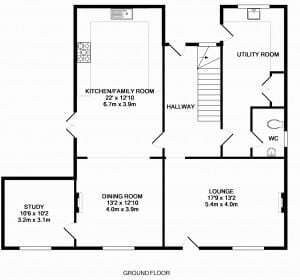 Layout & history of the property: Properties that have been extended may be more complex to remediate due to differing floor constructions and ‘compartmentalisation’ of subfloor areas by foundations. Electrical connections: Both positive pressure systems and radon sump fans require an electrical connections, which can usually be provided from a nearby existing circuit. External weatherproof cabling is required for fans located outside. Equipment required: Fans with different air movement capacities and functionalities are specified depending upon the radon level, ground material and internal conditions. These factors are all individual to any given building meaning that a survey is required to provide an accurate quotation for the works. At propertECO our radon design surveys are not just limited to a visual inspection as we also perform on site diagnostics to provide further information on the radon levels within the property. Using a RadStar GM1-2 we are able to carry out short ‘grab samples’ to obtain a pattern of readings throughout the property which will assist in identifying any entry points and pathways, as well as confirming the areas that the mitigation system needs to cover. This is a worthwhile process as it provides information that will impact the design, and cost, of a mitigation system. The answer to the original question of how much it will cost really is “It depends”, however we recognise that a ballpark figure is useful. Taking all the above factors into consideration, the cost of a professionally installed radon mitigation system will typically range from £800 to £3000 for a residential property, however there will be instances where a multitude of factors result in quotations will be outside this range. Whilst a radon mitigation system will often be an unforeseen expense, it will buy you the peace of mind that you have taken the necessary steps to protect your family’s health.